You can see the available dates for Marmaris Big Mable. Please use the booking widget to make reservation. 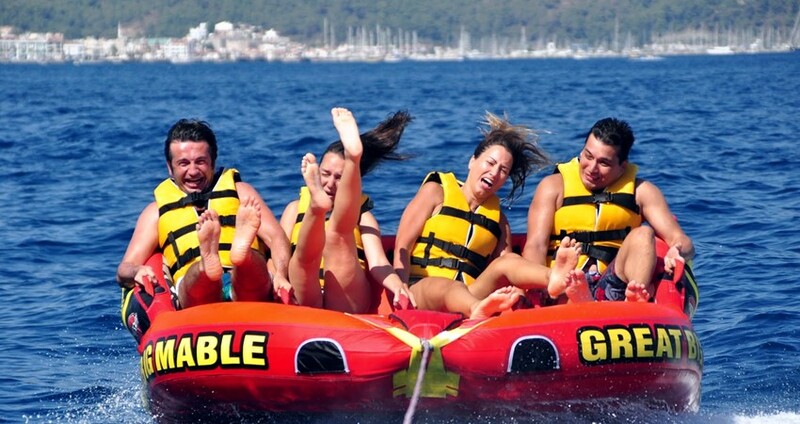 The Marmaris Big Mable Ride is a fantastic water sport adventure to experience with our company. 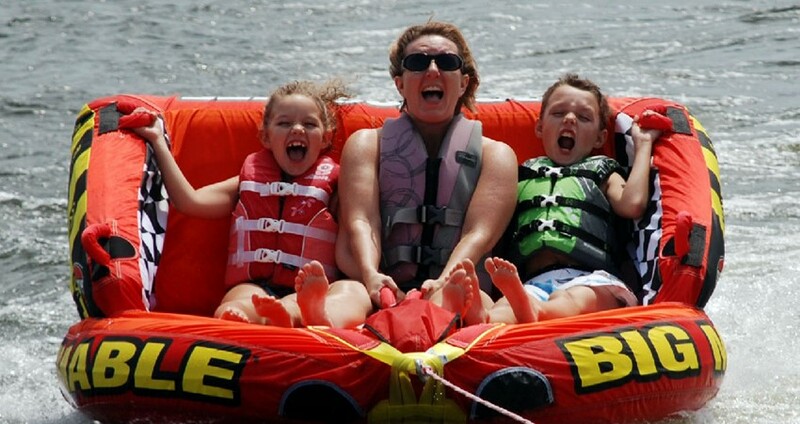 The Big Mable is a strong and sturdy tube that comes in different sizes. 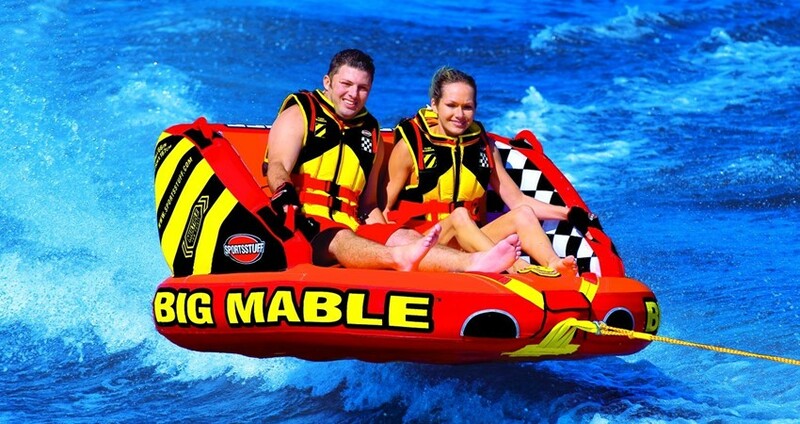 Normally, the Big Mable has a seating capacity of 2 to 4 people at a time. This exciting water sporting equipment has plenty of handles spaced at convenient points and comes with a comfortable backrest. 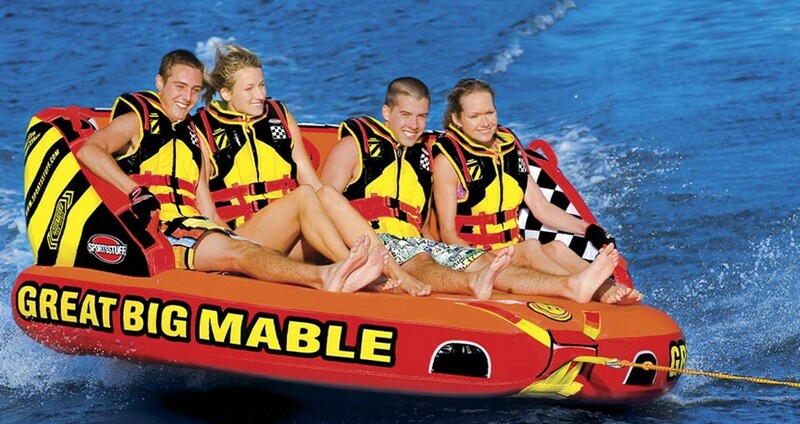 As the Big Mable is towed fast by our power boat you can ride on this tube kneeling, prone or seated. Just kick back and enjoy the ride with your company on your Big Mable. The tow points are on the two sides, front and back; you can enjoy the exciting Big Mable Ride from both ends! The Marmaris Big Mable Ride is a big adventure, but we take absolute precautions to ensure that you enjoy your ride safely. 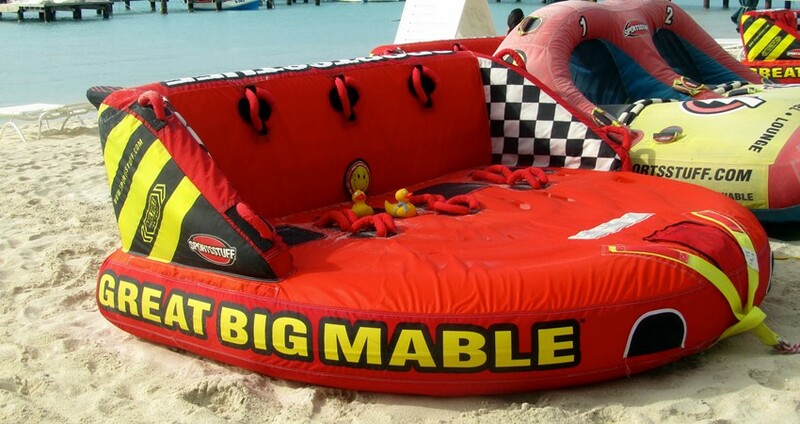 The Big Mable is made of the best quality material; durable and long lasting. The handles and ropes are checked at regular intervals and the entire equipment is maintained compliant to high safety standards. Our professional instructors provide you necessary safety instructions and help you with appropriate safety gears as well. 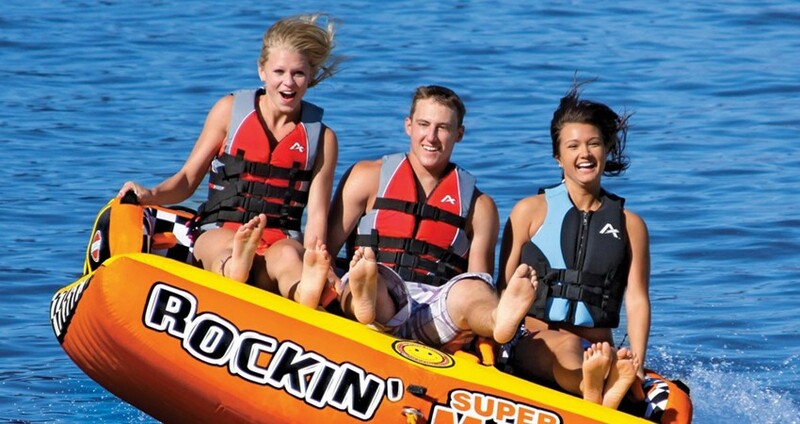 While you enjoy the ride, they stay by your side and ensure that you enjoy this water sport adventure to the full. Our professional instructors act as life-guards and are fully committed to provide instant help in any situation. You can also choose the appropriate speed as per your preference. You can just concentrate on enjoying the activity and leave the rest to our careful eye. 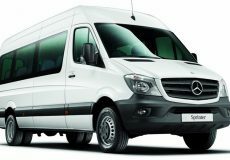 The activity price is inclusive of the comfortable hotel transfer services. 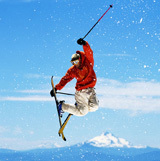 The itinerary of our Marmaris Water Sports can be planned as per your choice. 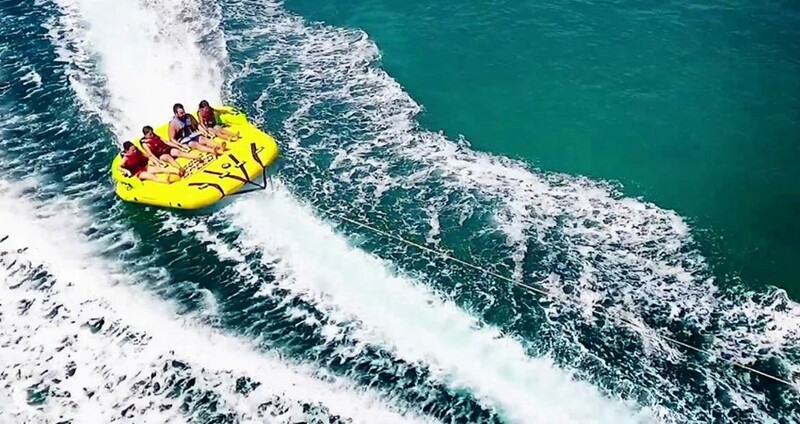 Most of our water sports activities last for about half an hour and you are free to choose all the available activities on the appointed day. We have suggestive itineraries, but you are always free to frame your own one. However, we suggest you to take our water sport activities in the morning. This will enable you to participate in other exciting activities like paragliding, banana boat ride, fly board, etc. 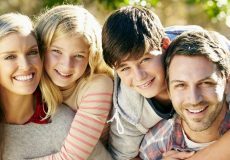 Each of these activities is more fun filled and adventurous than the other. When you participate in a team, your spirits are certainly at a high! 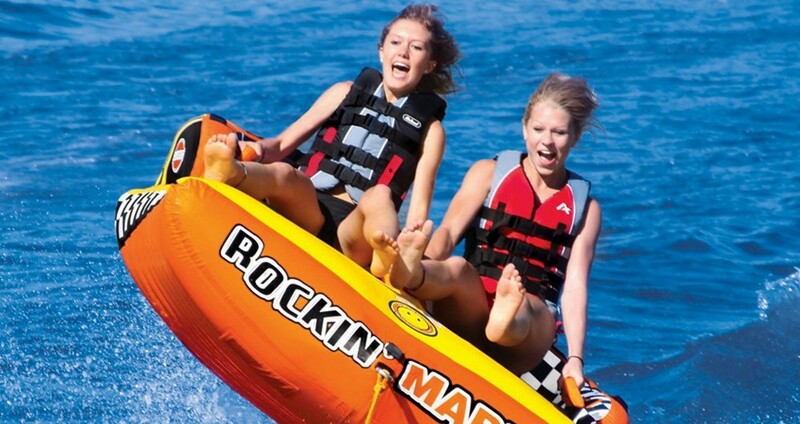 Our Marmaris Water Sport activities are best suited for those adventurous at heart and ready to get wet. Hope you enjoy our Marmaris Big Mable Ride to your fill. Categories For " Marmaris Big Mable"
You need to bring towels, swimming costumes, sun cream, sun glasses &amp; a big smile with you. Yes, our professional photographers will take your pictures &amp; videos during your activity. At the end of the activity you can buy them in a dvd.